Australiasianbanknotes.com.au have put together two complete sets of Australian Paper Decimal Paper Banknote Issues. 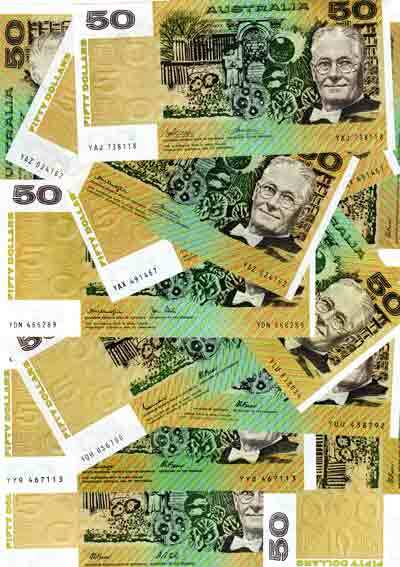 ALL BANKNOTES ARE IN UNCIRCULATED GRADES. The paper banknote issues were issued from 1973 to 1993, after which they were replaced with Polymer banknotes in 1995. The set comprises the full banknote set, with the first issued Phillips/Wheeler in 1973 including the first prefix YAA and a general issue banknote. The full set is made up of the following banknotes. 1973. Phillips/Wheeler – YAA First Prefix/One General Issue. 1975. Knight/Wheeler – Centre & Side Thread. 1979. Knight/Stone – General Issue. 1983. Johnston/Stone – General Issue. 1985. Johnston/Fraser – Gothic & OCRB Print. 1989. Phillips/Fraser – General Issue. 1990. Fraser/Higgins – General Issue. 1991. Fraser/Cole – General Issue. 1995. Fraser/Evans – Prefix FAA & FAB. We offer this set for sale at the amazing offer of: $5000.00.